I’m excited to announce a pair of new pattern available in the pattern store! 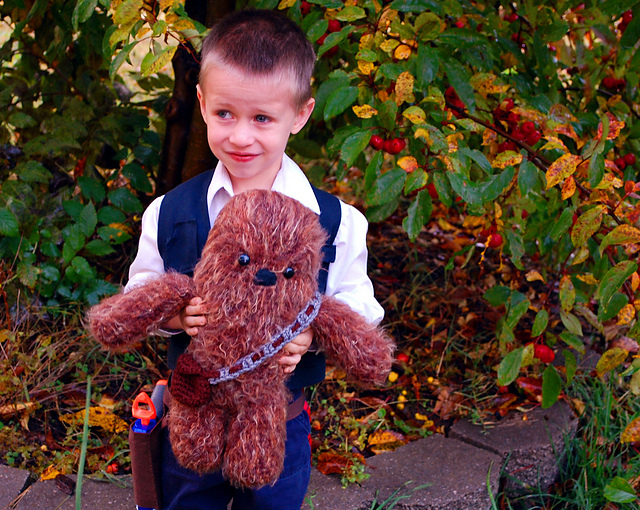 First up: Tommy was Han Solo for Halloween this year, and I decided to make a little Chewbacca to go with his costume. (Good call, I think – he LOVES him.) You can get your own copy of the pattern here. Next up, something a little different! SOMEONE is getting a little fairy for Christmas this year. I hope she likes it. It was so much fun designing something girly! You can pick up your own copy of this little bluebell fairy here. I have a few more things to put together before Christmas, so there might be some more designs released in the next month!